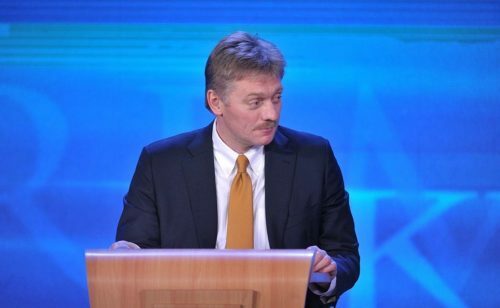 Russian President Vladimir Putin’s spokesman Dmitry Peskov defended Chechen leader Ramzan Kadyrov for his comments during an interview with HBO about gay people. After saying Kadyrov’s words are often taken out of context, Peskov stated that “nothing out of the unusual was said there,” TASS reports. Chechnya is a federal subject of Russia, and since April reports have been coming in about the abduction and abuse of gay and bisexual men. The Russian newspaper that broke the story, Novaya Gazeta, recently published the names of 27 people they claim were killed on a single night in January for being gay or bi. The Russian LGBT Network, working to free gay and bi men from the region, have confirmed that the men on the list were all executed, but said that they were not all gay or bi. Russia has had an anti-gay propaganda law, preventing anything that might inform children that homosexuality exists, since 2013. It has often been used to crack down on LGBTQ pride rallies and demonstrations, and Europe’s highest human rights court recently ruled it discriminatory and a violation of freedom of expression. You can watch the portion of the interview below. The entire interview airs on Tuesday. Peskov also recently defended Russian Ambassador Sergey Kislyak for talking to Trump campaign officials.